I just returned from a little family vacation down to Corpus Christi, TX. We hit the beach and did a bunch of touristy stuff - it was great! 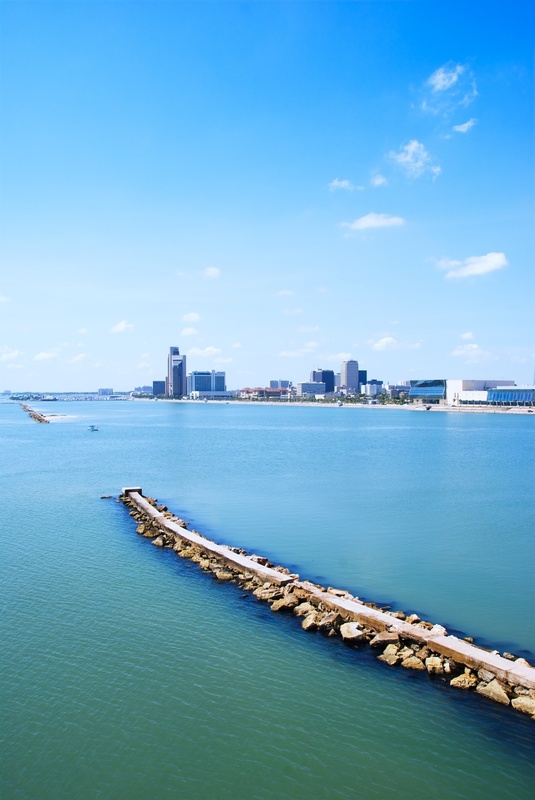 Corpus is actually a pretty nice little town - we enjoyed it quite a bit. This is a view of most of the skyline (remember I said it was a little town) taken from the deck of the USS Lexington, which has been retired and now sits in the harbor there as a museum. If you are into WWII history, the USS Lexington tour is a must. I loved it. Though taking photos was not the purpose of the trip, I did squeeze in quite a few here and there, so I will be sharing those over the coming weeks....so look for some beach shots and lots of boats coming your way!